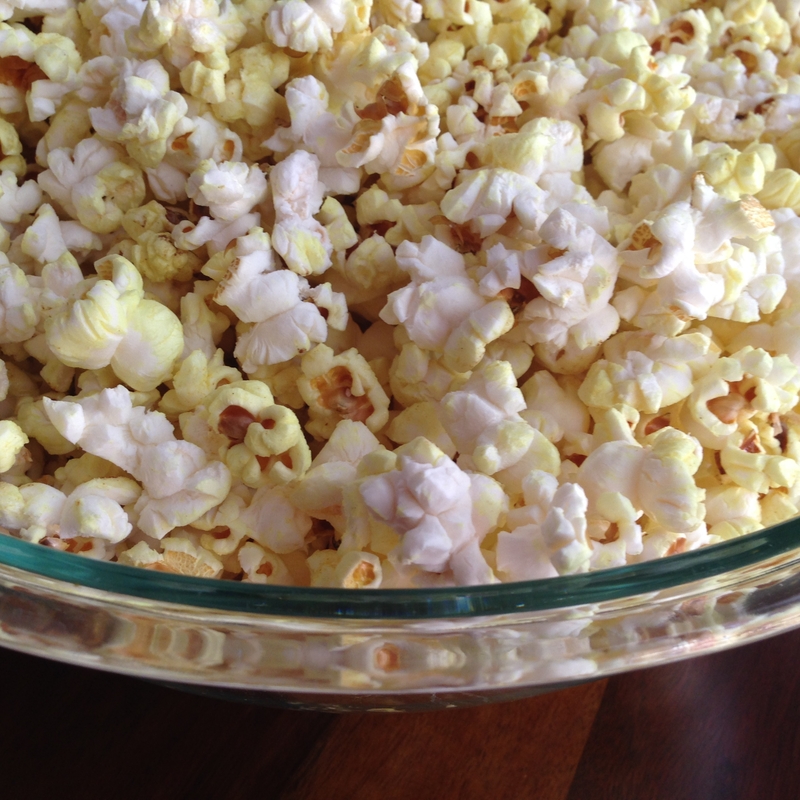 Arguably, no other food has a pull as strong as fresh popcorn. How many times in my life have I proclaimed to be full only for the aroma of an office mate’s microwave popcorn to make my mouth water and stomach rumble. I don’t even want to know how much I have spent on overpriced movie theater popcorn with extra butter. But I couldn’t help it. 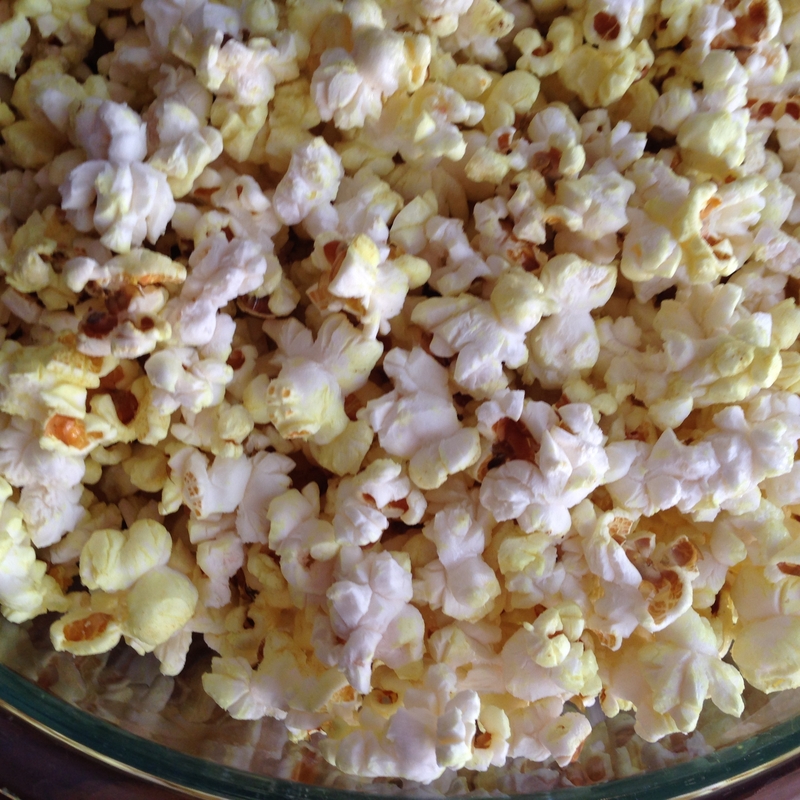 Popcorn is one of my all time favorite foods and especially as a child, I could never resist it. I still love this crispy, tasty, high fiber, healthy, whole grain snack, but I eat it better now. Less ingredients and just as yummy to scoop up handfuls. Since my childhood, some unfortunate turns have occurred in our food industry that may have contributed to increasing rates of cancer, early puberty, hormonal disorders, behavioral issues, and more. Genetically modified foods started making a regular appearance in the 1990s and the biggest production and economic boom quickly became corn. This is why corn, taco shells, tortilla chips, corn meal, corn starch, and popcorn are foods that I only buy non-GMO or organic. This way at least when we are eating at home, which is the majority of the time, we decrease our exposure. Click here on why I think everyone should watch the movie Food, Inc (free on Netflix). Here is the preview video. I was shocked that McDonalds is the biggest driver of GMO corn production namely because the company is also the largest consumer of beef. 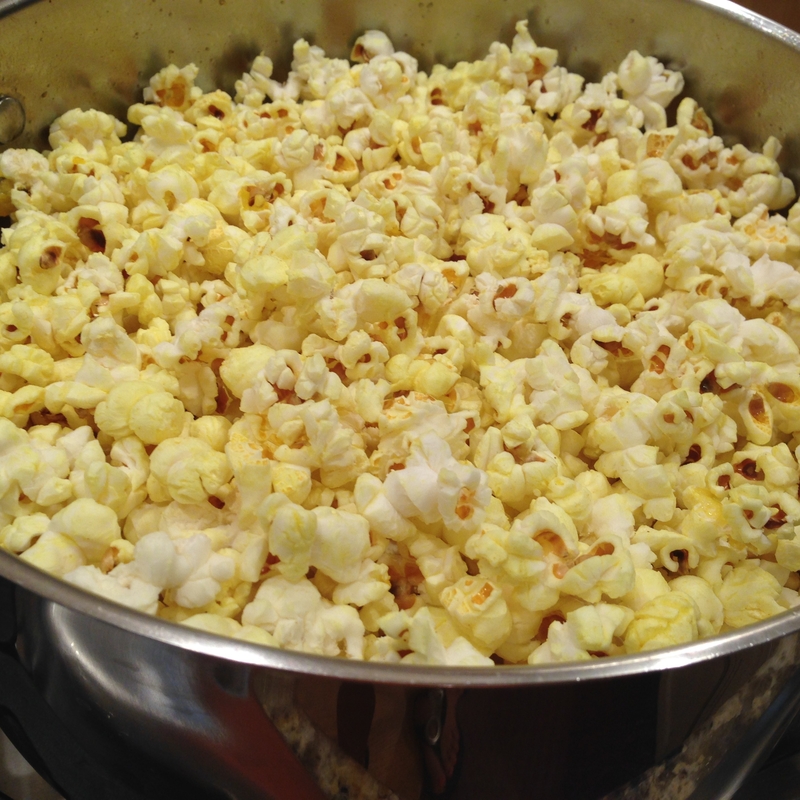 There has been growing concern regarding microwave popcorn despite its convenience. The bags are often lined with toxic chemicals and the popcorn itself is high in pesticides, flavored and colored artificially with food dyes, and contains inflammatory oils and sadly, trans fat. I remember being so disappointed after eating Pop Secret for years and discovering that it contained trans fat. There is NO level of trans fat that is considered safe for our consumption. Containing, only 4 ingredients, this recipe beats all of the above mentioned garbage. 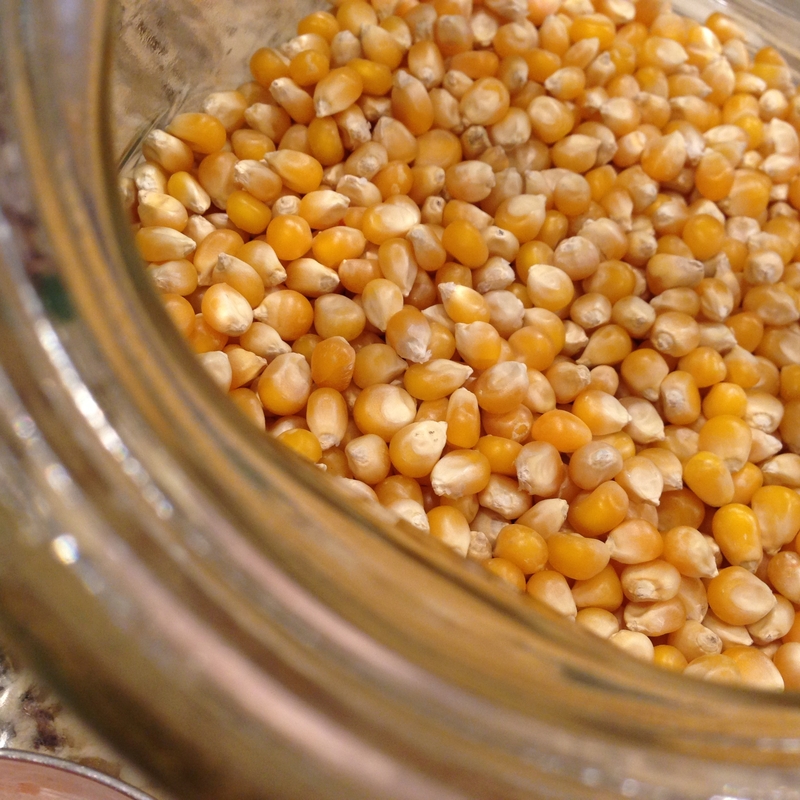 Organic popcorn is available at a good price at Trader Joe’s as well as in bulk bins at health food stores or online. We made the switch to unbleached sea salt a few years ago. You can find it discounted at HomeGoods stores of all places and I also have it in my Amazon Store. 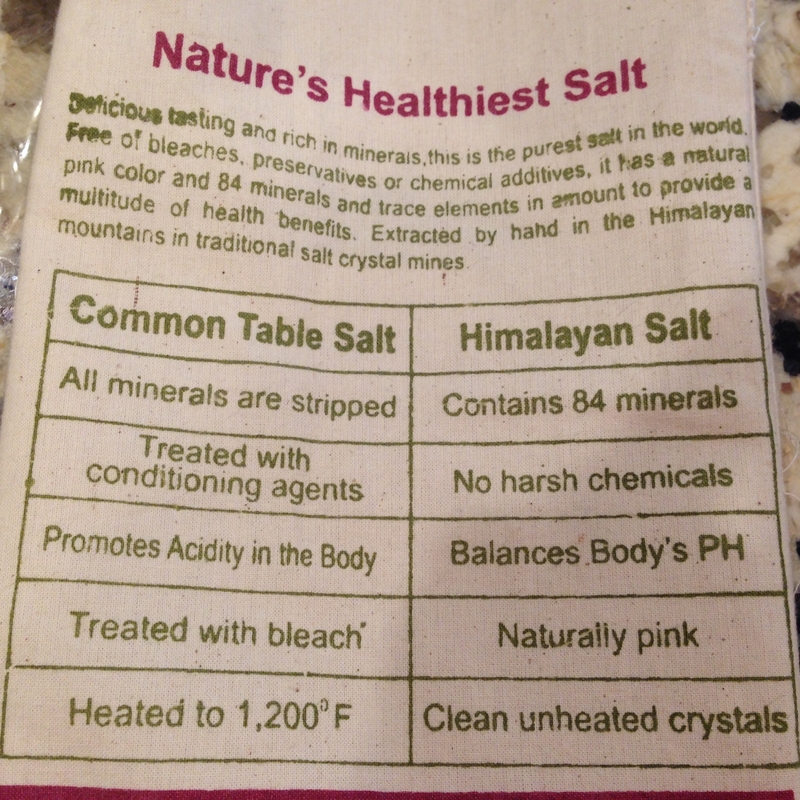 Do keep in mind the myth that it contains significantly less sodium. I educate my heart patients about this all the time! 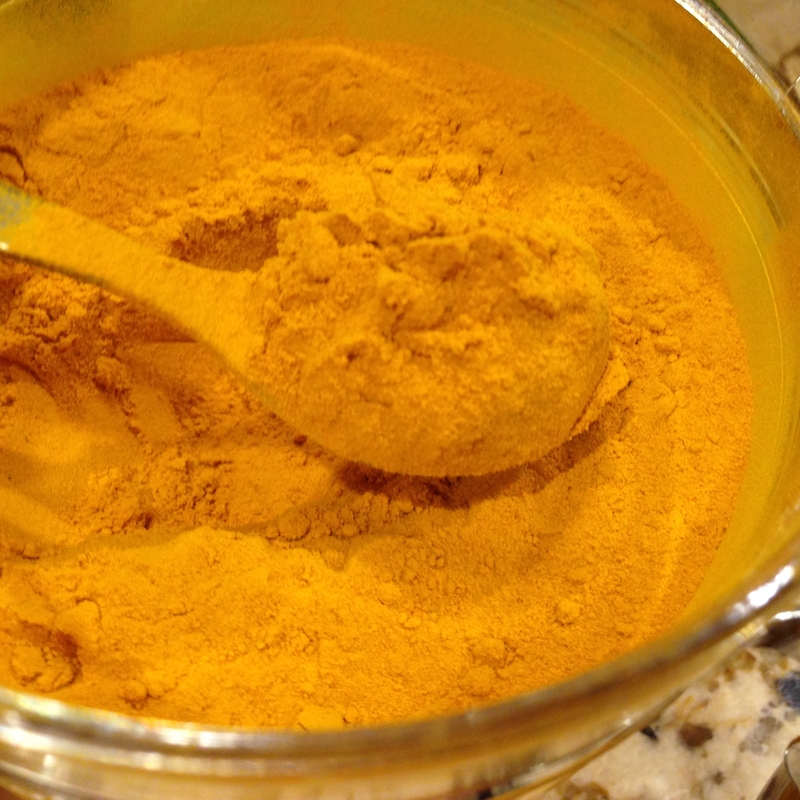 Turmeric provides that yellowish color that kids want and us adults expect that too! It has been long used in eastern cultures in both cooking and for medicinal purposes. It is a powerful antioxidant, reduces inflammation, studies show it is anti-cancer, and I’ve seen my family even apply it on minor skin wounds for better healing! If you research it, you will find numerous clinical studies from credible institutions that have proven these benefits. You can buy it cheapest in smaller quantities at Trader Joe’s and World Market, organic at Target, and in larger supply at Indian grocery stores. In larger amounts, it can lend bitterness but no one will taste it too strongly in this popcorn. 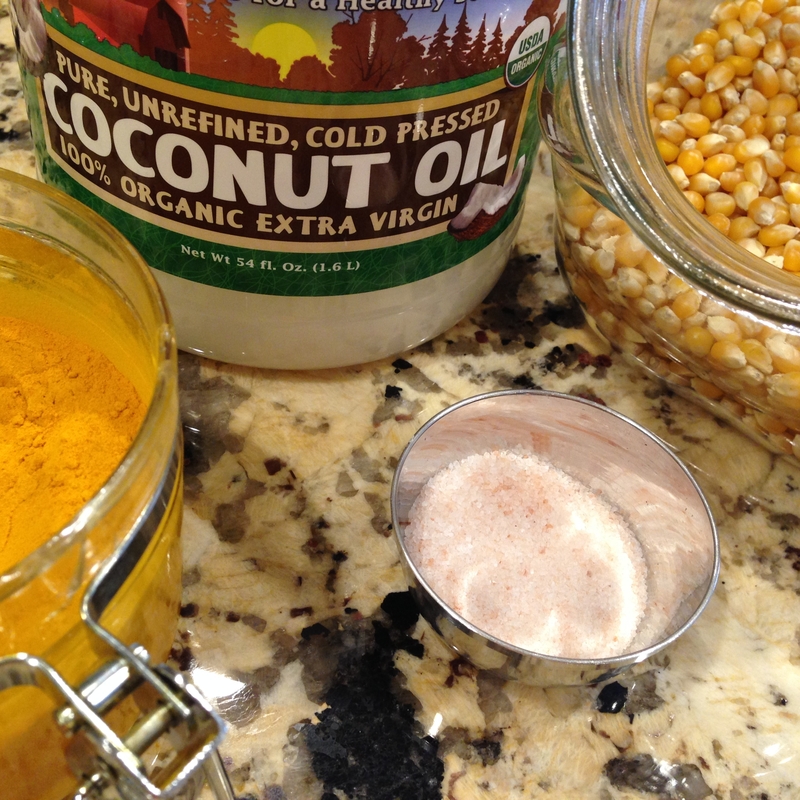 I cook my popcorn in unrefined, virgin coconut oil. It WILL taste like butter, not like coconut! I wrote a whole post on why I use this treasure of an oil! The other reason I use it is because that’s where the flavor of actual movie theater popcorn comes from. The problem is that coconut oil is refined and inferior because it is processed from dried coconut and is then bleached and deodorized. Gross. Furthermore, these establishments usually use a mixed oil blend. 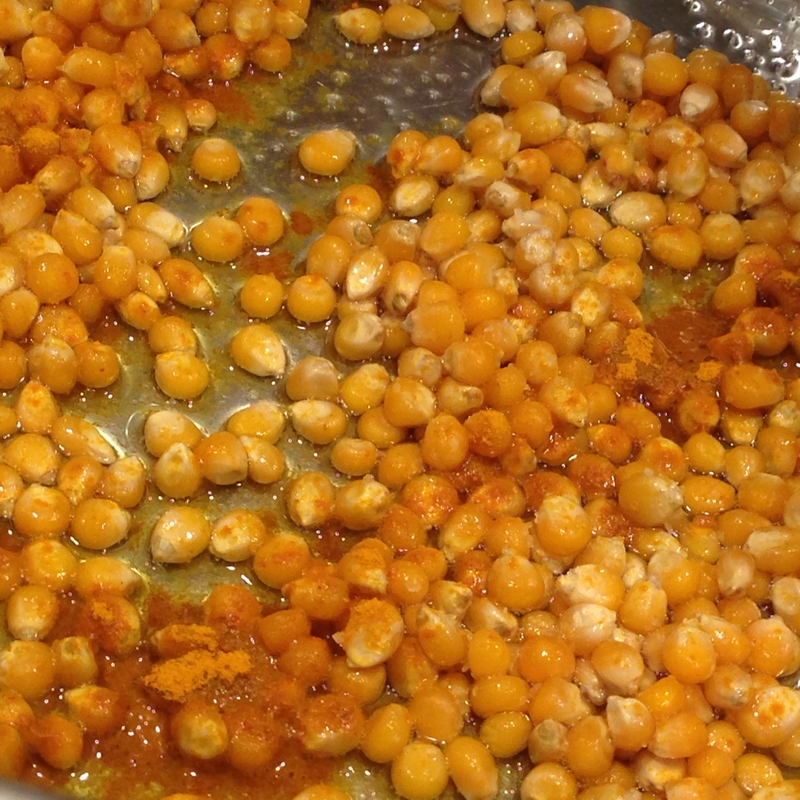 The turmeric is added in early and stains all of the oil which is what you want for pretty popcorn! You need a large pot and a lid that you will leave ajar while popping. The lid allows heat and pressure to build up to pop the kernels but the steam needs to escape so you don’t end up with chewiness. It is helpful to have a clear lid but a solid one works. Trust the recipe and yourself 🙂 . Makes enough to fill a 6 quart pot but cut recipe in half if using a smaller pot. 1. Heat oil in a pot on medium heat for 3 minutes. 2. Add in kernels, turmeric, and salt. Stir to coat. 3. Turn heat up to medium high. It will start to make a sizzling sound because the turmeric powder is toasting. The sizzling will slow then speed up. 4. 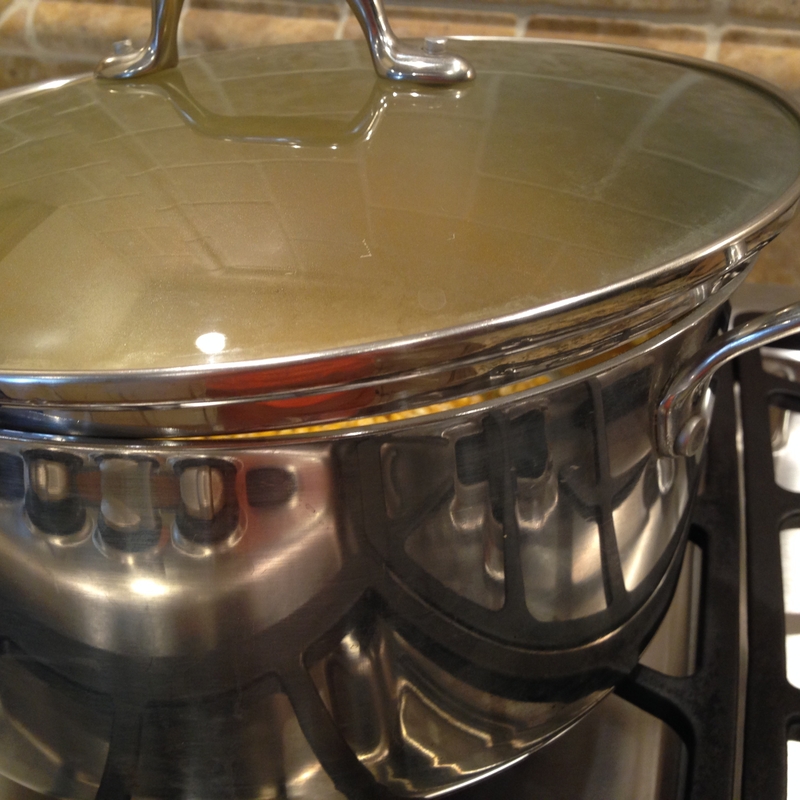 When it is sizzling constantly, place lid on leaving a slight opening for steam to escape. 5. Turn heat down gradually as popping slows. When my pot is about half full, I turn it to medium and then very low when the popping really slows. 6. Remove from heat and then take the lid off carefully. A good bit of the salt will have fallen to the bottom so you can toss in more at this point. I recommend drizzling with extra coconut oil first to help the salt stick and for a more buttery goodness! Allow to cool before transferring to a container. Store sealed for 10 days. Never tried turmeric! Going to have to try that one… I love Nutritional Yeast on mine as well! YES! I love the nutritional yeast too!!! 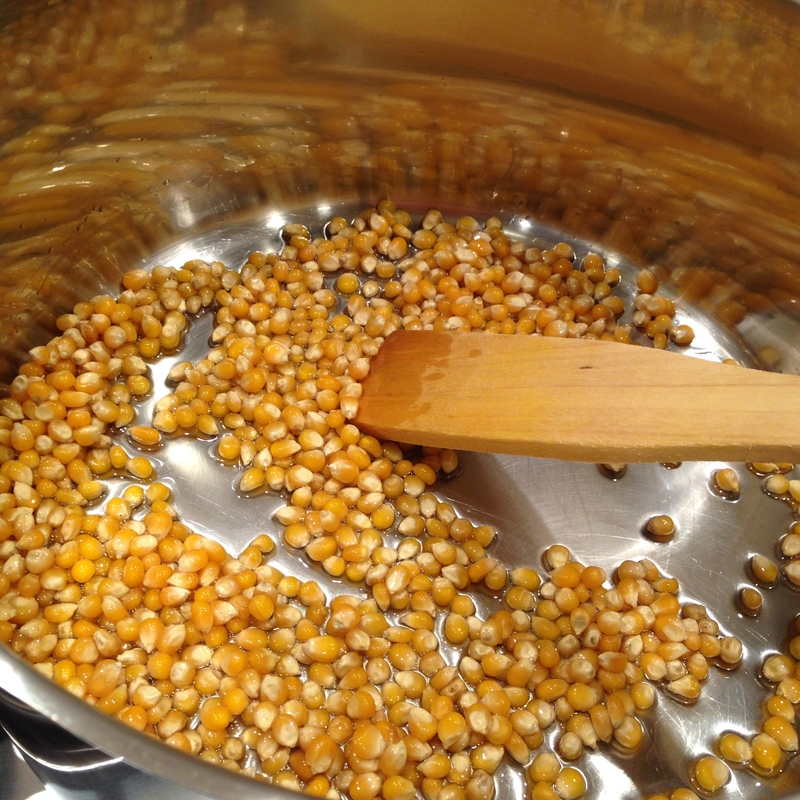 Made your version of popcorn with the turmeric last night and it was a HUGE hit with everyone. Thanks for sharing!! 🙂 Will definitely be making this again! Thank you for letting me know! So glad it was a hit! Reseting Post-Thanksgiving: Mason Jar Salads & Come Meet Me! Previous post: Back To School Breakfast: Doughnuts!